NEW Extra Repair Foundation SPF 25 gives skin perfect coverage, moisture and broad-spectrum sun protection. 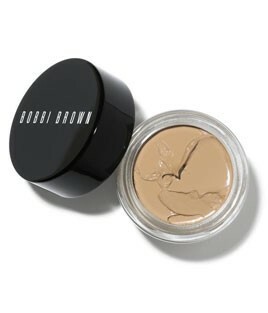 Infused with Shea Butter and Evening Primrose Oil, this does-it-all formula combines all the skin-nourishing benefits of Bobbi's Extra Skincare with the skin tone-correct colour and buildable coverage of her foundations. This feel-good formula is extra emollient to instantly "melt" into skin and give it a fresh, healthy glow. Over time, it also helps replenish and strengthen skin. Ideal for dry and very dry skin types.